Here, the owners wanted to achieve an outdoor space they could utilise year round. Glass sliding doors from the living room lead out onto the deck and when open, create a real indoor / outdoor living area. Merbau decking boards were used for this landscaping project – they are hard wearing, weather proof and low maintenance. 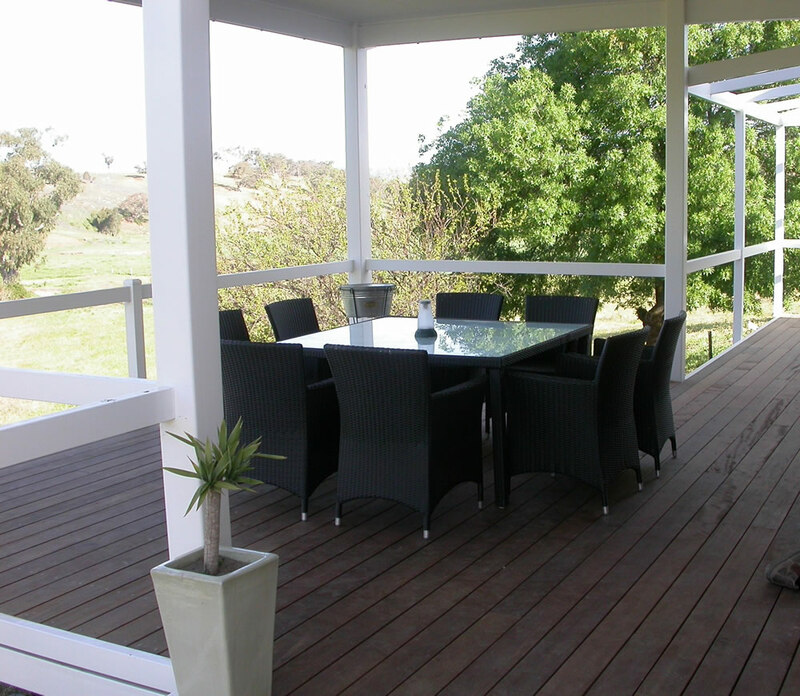 The deck is elevated and extends around both sides of the house and over a grazing paddock below.